Nick Perdomo's twist on a Dominican classic, Olor Nicaragua Maduro cigars parrot the smooth flavors of Nick's best-selling cigars. 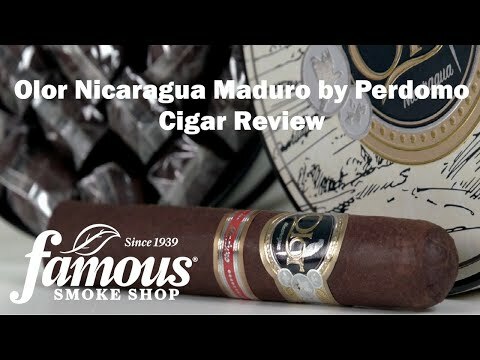 Exclusive to Famous, this cigar features a medium bodied blend of all-Nicaraguan filler with luxurious Cuban-seed maduro wrappers that have been triple-fermented and aged for 6 months in oak bourbon barrels. Sweet, creamy, and richly complex flavors abound, all at a Famous low price. These Dominican classics got Nicaraguan makeover just for you so don’t miss out- order now!